MPNDoes not apply. EANDoes not apply. Modified ItemNo. Super easy and cost-effective to quickly change the look of an outdated kitchen. ☑ Durable vinyl film cleans easily and is water resistant. ☑ Quick and easy to install - just peel and stick. ☑ The decorative, self-adhesive film is safe for walls. LARGE: 17.7"x78.7"(1.47ft x 6.56ft, 45cm x 200cm). Yancorp Black Peel-Stick Wallpaper. Simply cut to size, peel the sheet of vinyl tile off of the paper backing and stick to a clean flat surface. Apply Peel-Stick Wallpaper to the wall, beginning in the corner. High-quality and very durable product. There is an authentic wood texture that you can feel and see. 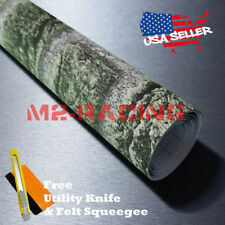 Made from Vinyl/PVC film making it easier to clean. Apply the film directly to almost any flat surface for an instant, beautiful and long-lasting results. This wallpaper is in new unopened double rolls,prepasted and easy to install with water and a spray bottle. Lay your cut strip with the pattern side down on the floor or table. Detailed instructions are included. 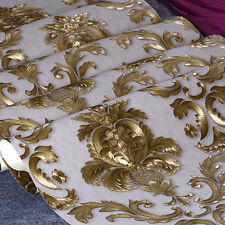 Wallpaper is paintable so you can add any color to your room for a great look. Get the look of Bead board without all of the work! Paint to match your decor or leave it white. 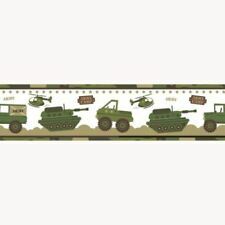 This wallpaper makes a fresh impression in any room. This wallpaper is not pre-pasted. Wallpaper Non-woven Classic Plain Stripe Modern Wall Covering for Living Room Bedroom. Not suitable for dirty or rough surface. 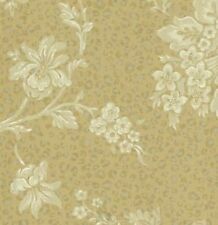 Size: The wallpaper is 0.53m Width x 10m Length ( 1.7ft x 32.8 ft ). Features: Pearly white bottom Must Read: Wallpaper glue is not included, but can be purchased from your local hardware store. Color tones can vary due to lighting in the room, pictures on wall for reference only. To avoid color shade difference on wall, order in one time to make sure they are from the same lot/batch. Material: non woven paper, sponge clean. Size: 0.53m x 10m by meter 32.8ft x 1.73ft by feet Installation:. Can be applied to the object with the smooth surface, kitchen counter, notebook, crafts, bedside table, and bookcase. Cost Savings: Repair and remodel old furniture at minimalcost, replacing real marble furniture quickly and economically. Make an Accent Wall, Backdrop for Family Photos, or just Cheaply and Easily Redecorate a Stale and Drab Room. Designed for quick and easy application, GoGoDecal - Stone Peel And Stick Wallpaper are printed on high quality vinyl and are backed with peel and stick technology. Peel and Stick Wallpaper can be used on any smooth, flat surface and endless DIY projects. ❤Installation is simple❤---Just PEEL, STICK, decoration! Peel and stick technology, allowing it to be reassembled in an instant, while remaining removable and repositionable. Super easy and cost effective to quickly change the look of an outdated kitchen. Large roll size. Product: Peel and Stick Contact Wallpaper Material: Vinyl Peel & Stick(Self Adhesive) Wallpaper Color: Beige/Black Dimension: W1.48ft * L19.7ft= 29.2(by feet ) W0.45m*L6m=2.7(by meter) Pattern Repeat:H17.7" x W17.7"(H45cm x W45cm),Drop match Instruction For Use: 1. It can be placed on any smooth clean and dry surface like shelf, board, wood cabinet,drawer,walls,window,glass etc. It is best applied at room temperature. 2. Sand down rough surfaces prior to sticking. Clean large surfaces with mild soap and water. 3. Measure the surface to cover. Cut the film into right size, leaving about 5cm extra overlap on all edges is beter.. Features: 100% Brand new and high quality High-grade non-woven paper-based Effectively reduce the light, soft light, protective reflex of the eye, a comprehensive improve the living space. Different colors can choose for your reference, each color is very simple and the atmosphere, I think you'll like it. 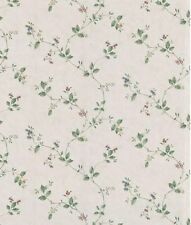 Supply For Living room, Bedding room, Study, Kids' room, TV Background. Quick and economical alternative to real marble. 💜Marble Paper 💜 USE – kitchen counter, furniture, notebook, dresser drawer, crafts, bedside table, bookcase, bookcase, door even wall. Kitchen counter, furniture, notebook, dresser drawer, crafts, bedside table, bookcase, bookcase, door even wall. Marble Paper. Quick and economical alternative to real marble. Upgrade the product, the product is thickened again, toughness, high quality and realistic marble effects will make you feel refreshed. Color: Tan Stone Peel and Stick Contact Wallpaper Material: Vinyl Self Adhesive Wallpaper Roll dimension:1.48ft x 9.8ft =14.5sq.ft (by feet), 0.45m x 3m =1.35sq.m (by meter) Design repeat: H19.6" x W17.7"(H50cm x W45cm),Drop match Usage: Wall decoration, cabinets and drawers, counter tops, bookshelves, closet shelving, and pantry areas Instruction For Use: 1. It can be placed on any smooth clean and dry surface like shelf, board, wood cabinet,drawer,walls,window,glass etc. It is best applied at room temperature. 2. Sand down rough surfaces prior to sticking. Clean large surfaces with mild soap and water..
To brush glue evenly over the back of the wallpaper, you must brush the edge of the wallpaper, we can not stick to the front of wallpaper, to ensure a clean surface, avoid the risk of wrinkles. Over 3-5 minutes, then wallpaper soaked, the wallpaper can be pasted on the wall. 9ft roll of Rustic Stone Print. Peel & Sticker, Self Adhesive Con Wall Paper. covering books, crafts, etc. Material: PE foam. 5: Compared wallpaper better noise reduction effect. Preparation: Paste the surface clean with adhesion, such as: wood surface, glass surface, no dust wall, hit the bottom of the wall putty and so on. Peel and Stick Wall Sticker Sink Backsplash Tile,10 Sheets, 11.8"X11.8"